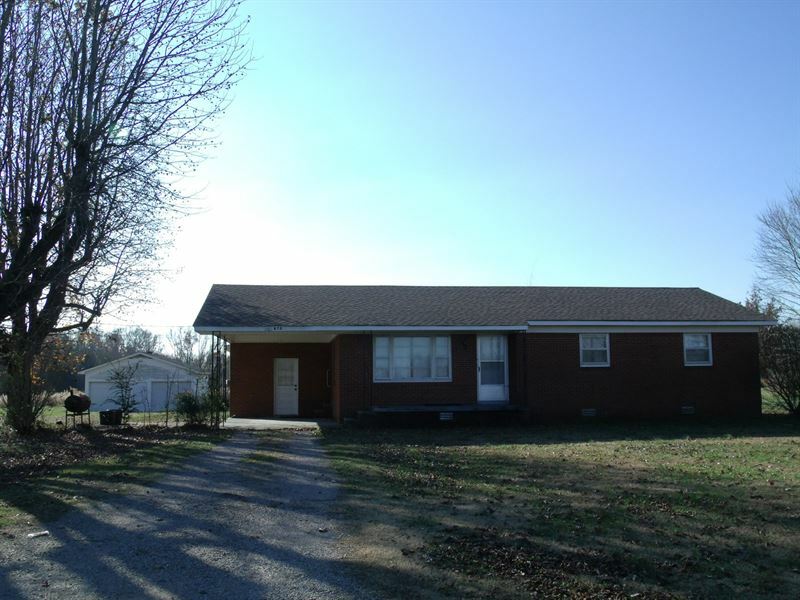 870 Rich RD - Now is your chance to get this Tennessee Ranch Home with large garage / shop, fencing 11.7 ac's and no restrictions. Brick home with 4 bedrooms and two full baths features a split floor plan, community water, central H&A, new shingles on roof and low tax's. Has approx. 8.6 acres under fencing pasture and will make a great Horse farm, Cattle farm or hobby farm. Great garden sites and plenty of room for the kids, grandchildren to play and for the pets to roam. This beautiful place is not in the city limits so your property taxes are lower, yet located 5 miles from Walmart, Lowes and Hospital. This home has hardwood floors throughout. Bathrooms have vinyl flooring. The eat-in kitchen has plenty of cabinets and opens up into the living area. Most of the ceilings are tongue and groove wood. The fourth bedroom was an addition, has traditional sheetrock ceilings and could easily be used as a separate living area. Lots of possibilities w/ this sweet country home. This is a wonderful place to retire if you are looking for small town, affordable, peaceful living. It's all the better if you love to fish and enjoy water sports as the beautiful Tennessee River is about 6 miles away. Plenty of public hunting land and whitetail deer, turkey and small game abound. Savannah and Hardin County TN are located between Memphis and Nashville in the southern part of Tennessee near Mississippi and Alabama. Our area boasts beautiful Pickwick Lake and the famous Civil War site where the Battle of Shiloh took place, lots of history here. You can purchase this home w/ aprox 1.5 ac's and the garage/shop if you don't need all the land for a lesser amount.